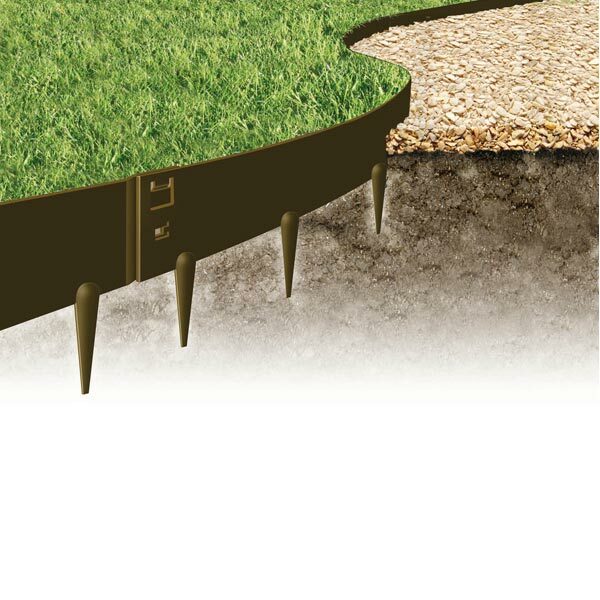 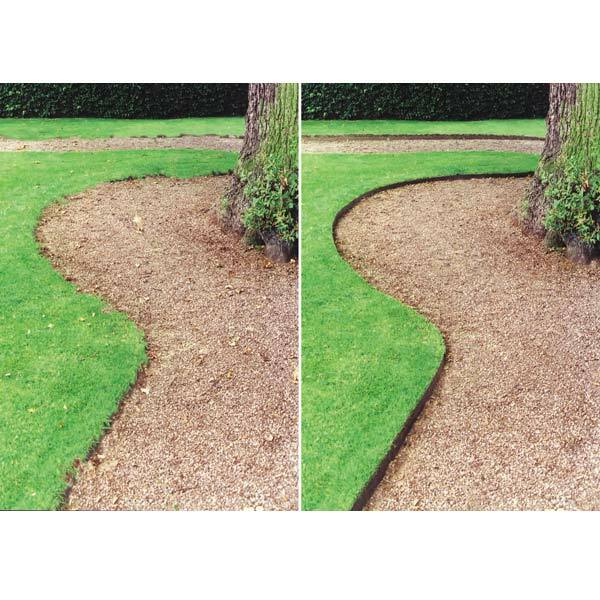 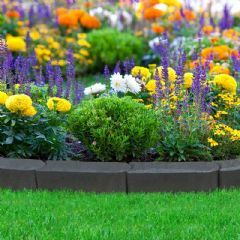 Everedge Classic Lawn Edging is an easy to install, maintenance free, permanent resolution to the age-old headache of maintaining neat edges for your lawn, driveways, path edging, flower and vegetable beds. 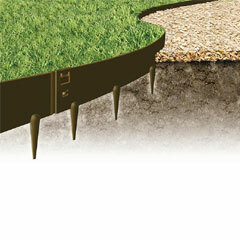 It can also be used in a variety of soil conditions. 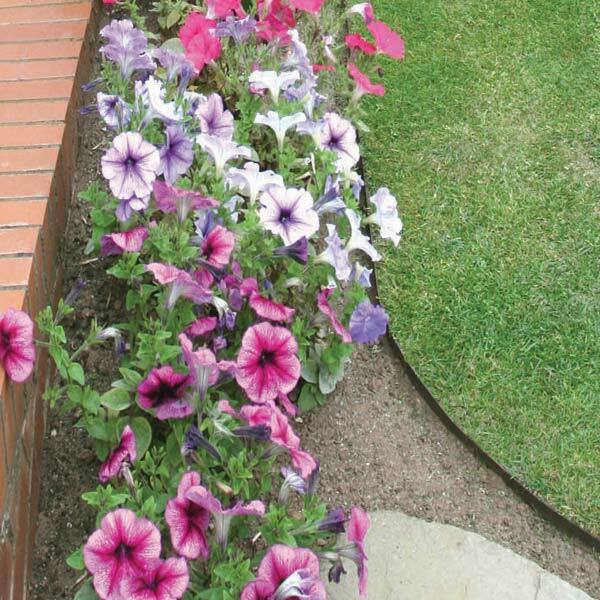 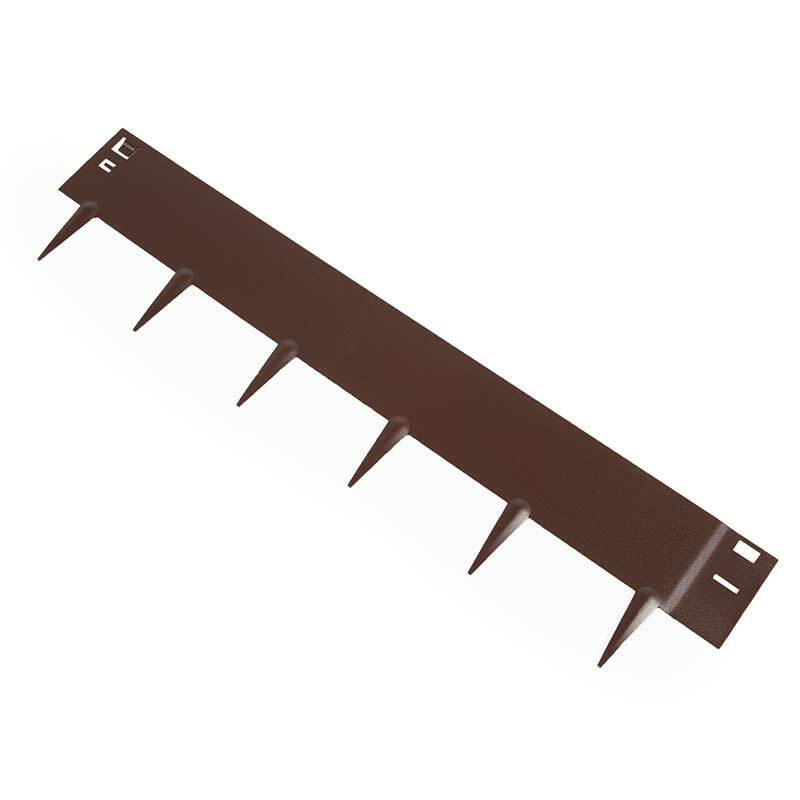 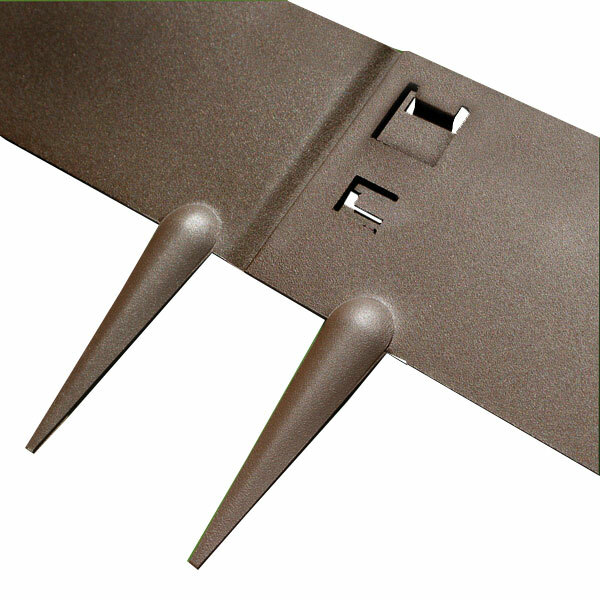 Manufactured from galvanised steel with a heavy plastic coating, this edging will not rust and is guaranteed for 10-15 years. 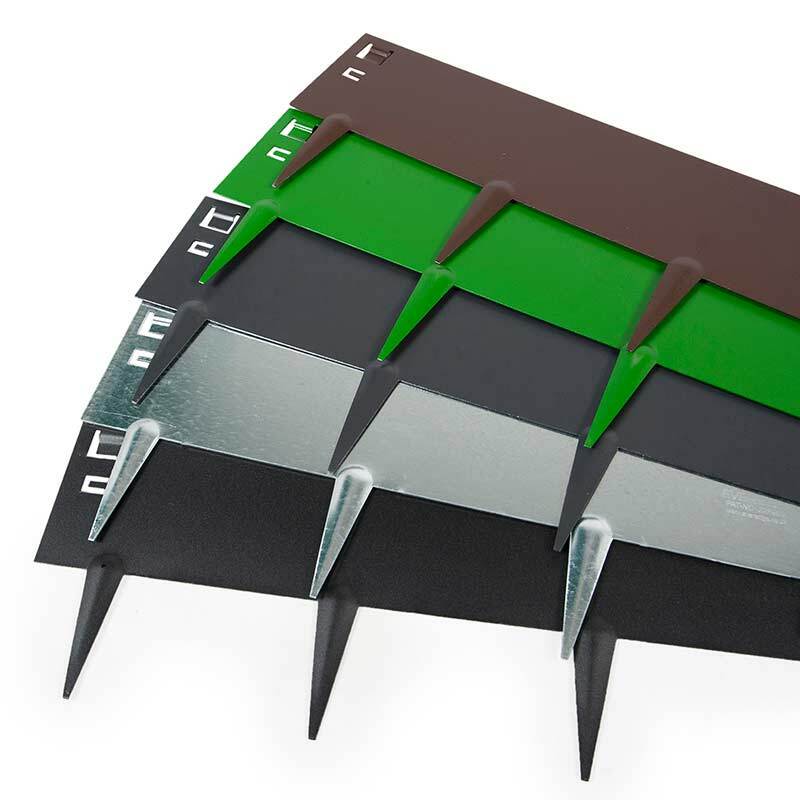 Very easy to install, as individual strips simply slot together and can be fixed into the ground with any regular mallet. 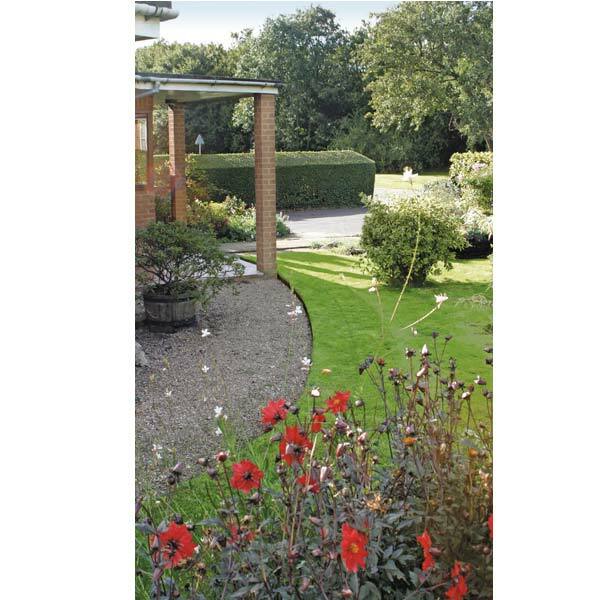 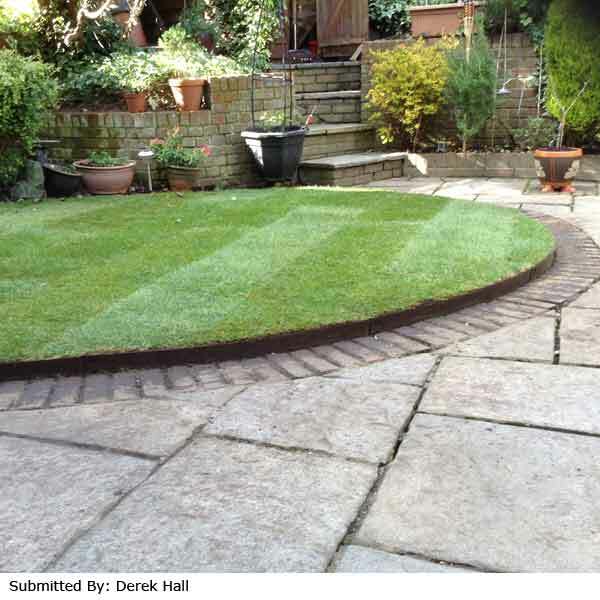 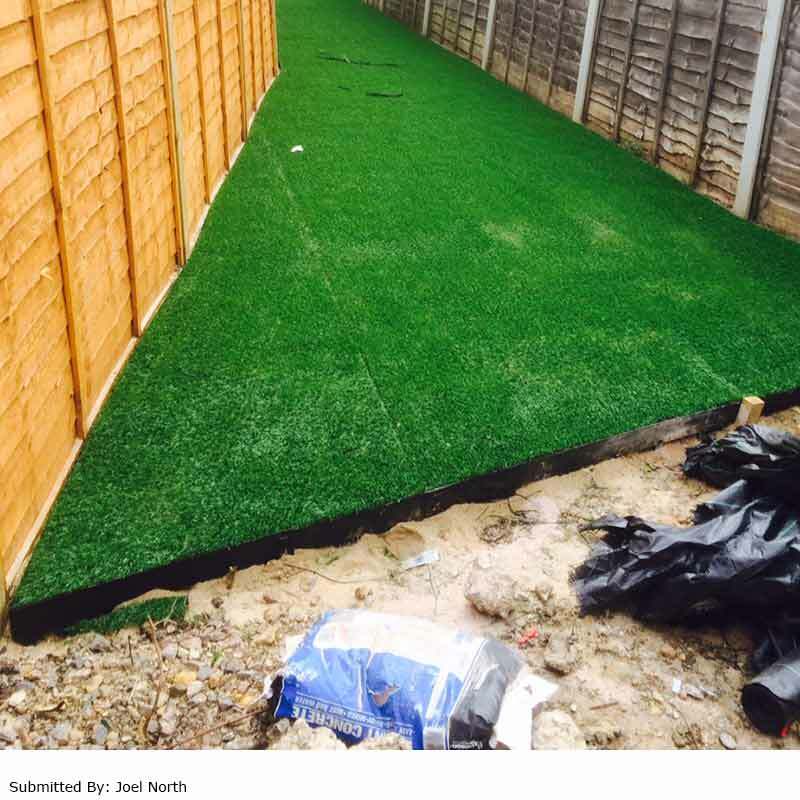 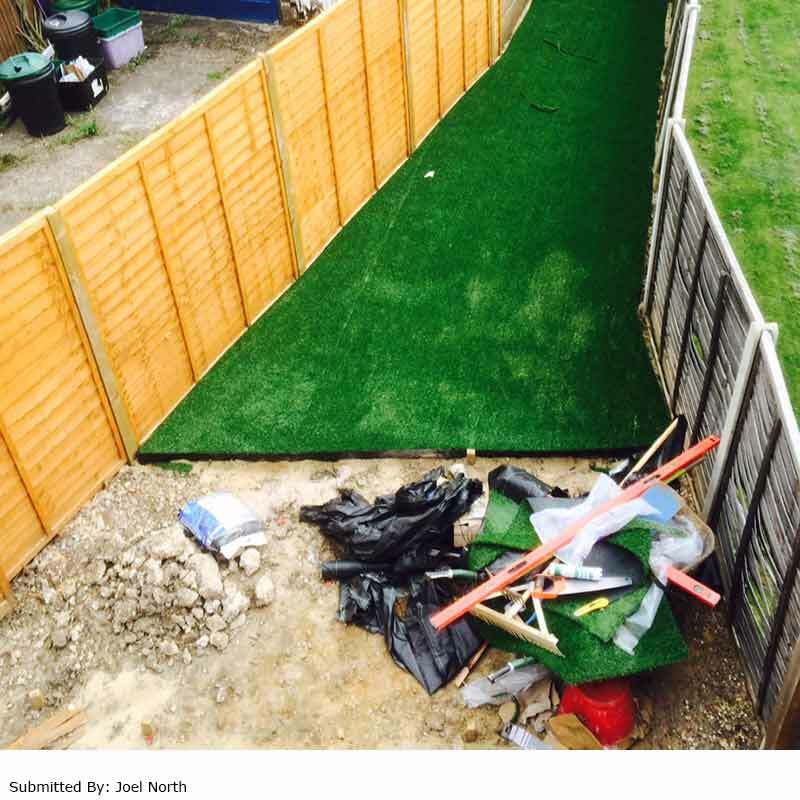 Depending on the size you require the edging is available in a choice of the following 5 different colours, Black, Brown, Dark Green, Galvanised and Slate.  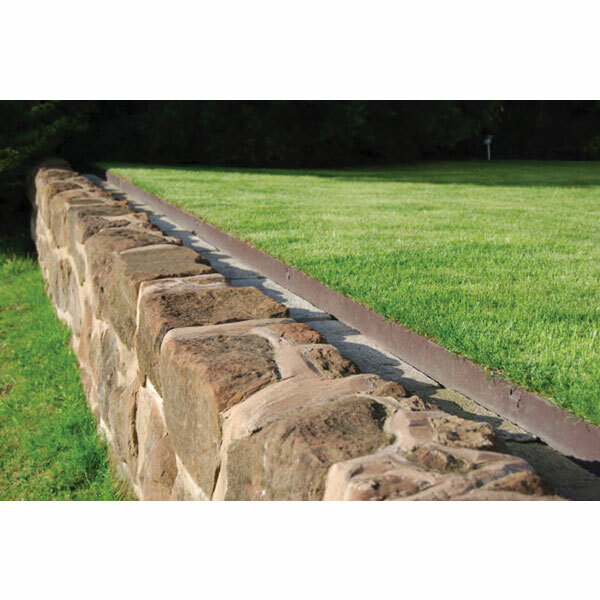 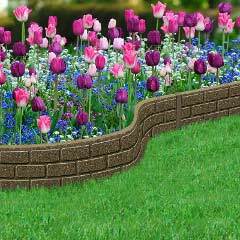 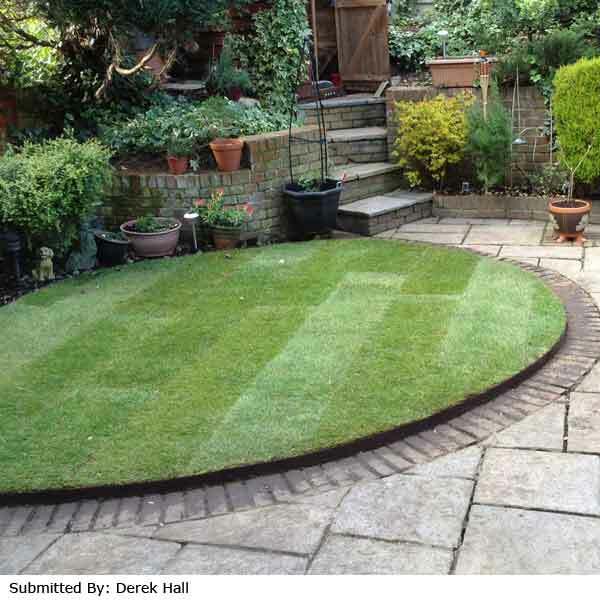 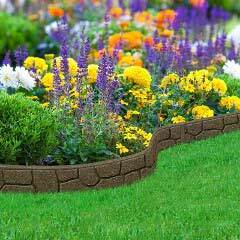 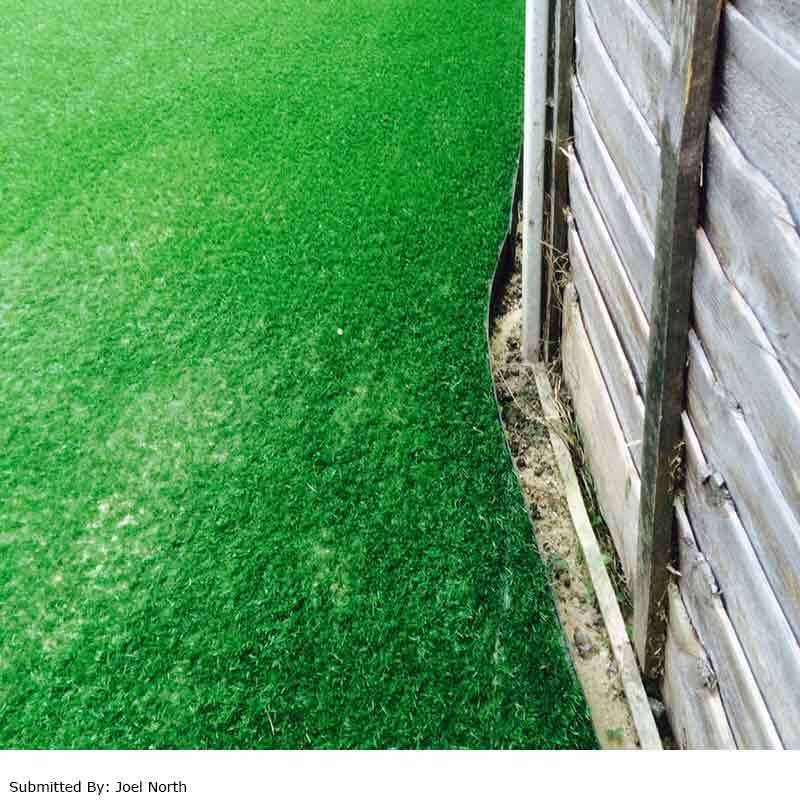 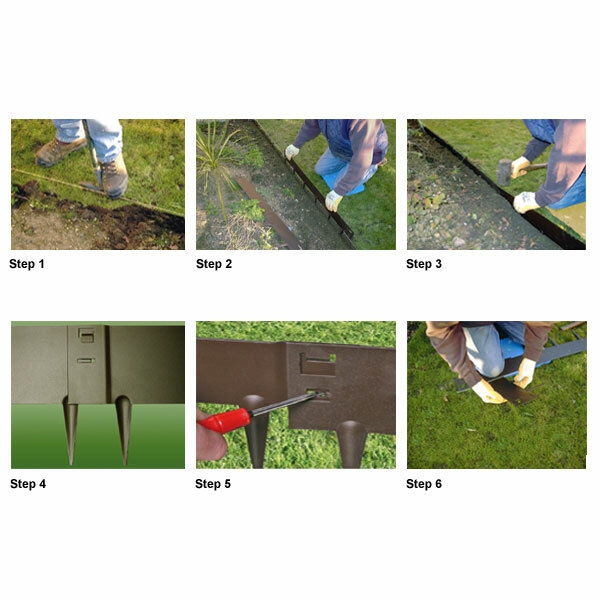 Customer note: All the different heights of Everedge Lawn Edging are compatible. 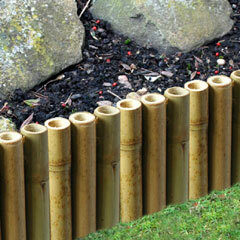 The join is always the same height from the top edge so the tops of all sizes will remain flush when put together.